At Bizongo, you can buy adhesive tapes online. 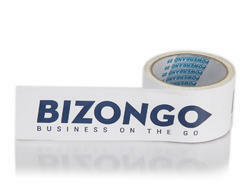 Both single side and double side tapes are available on Bizongo. The tapes are also sold in bulk quantities and if the company is looking for customization, such services are available as well. 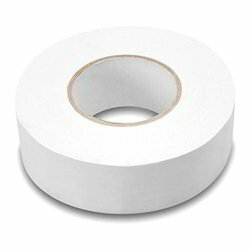 Adhesive Tapes prices are decided by manufacturers directly. For best prices and excellent quality, you can 100% trust Bizongo. In the case of bulk orders, you can place sample orders as well. An adhesive tape is built using a permanently sticky substance that adheres to a surface on applying light pressure. A pressure sensitive adhesive maintains a fine balance between adhesion and cohesion. Adhesive tapes are of two types: Single sided and double sided tapes.Adhesive tapes are extensively used for industrial purposes. It is quite important to prevent loss of goods during transportation and logistics. 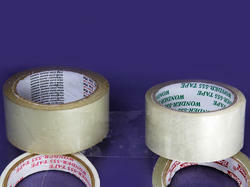 Adhesive tapes play a very crucial role in holding goods together.